On top of all the awesome finds I had myself this past week, my dad also (once again) chipped in some goodies for me. Saturday while I had to go to work (Boo), he went to the local flea market and got some seriously awesome deals (Yay). TAAADAAA! He is seriously getting good at this Pyrex stuff. He found the yellow, blue, and one red fridgie all for only $15! My word, he is lucky. 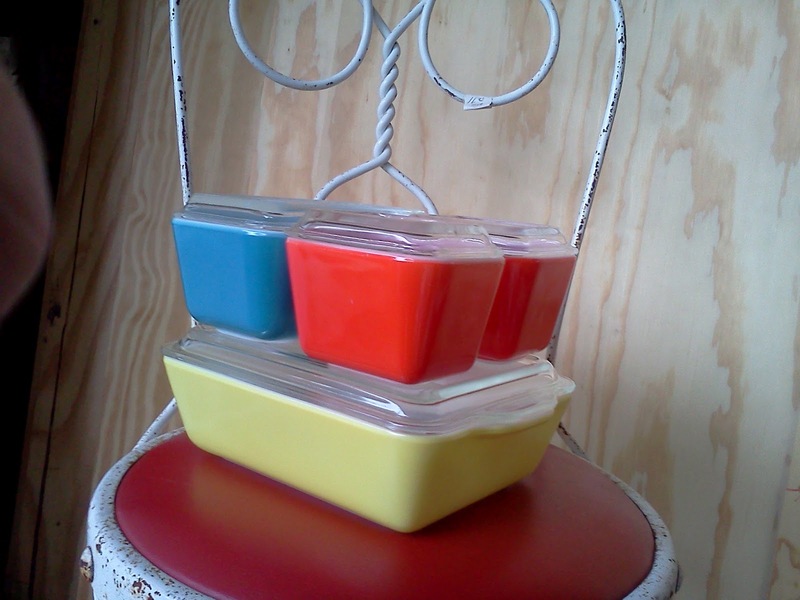 I matched all those up with the red fridgie I found Friday and completed my second primary refrigerator dish set. The best part about it? Neither set cost more than $20 total. Well, Your Dad sounds like a real sweetheart to be out hunting Pyrex down for you! Your blog is really cute! I loved looking at all your good finds. 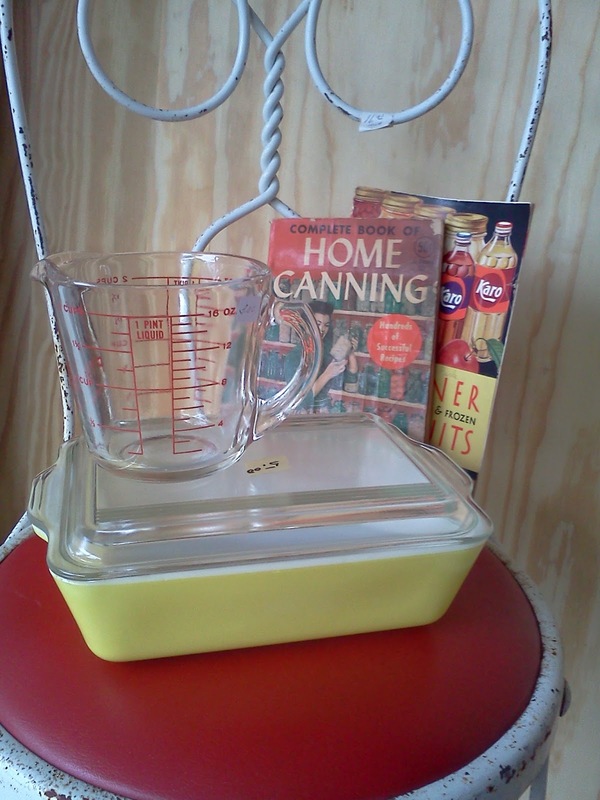 I can't believe the great prices on your pyrex! My last post was about my new pyrex addiction! I just found the full set of Primary Mixing bowls, but that's the only "set" that I have. You are doing great with sets! Love the old measuring cups. So practical! Happy Birthday and Thrifting to Me! Can You Say 200 Vendors?